Personal Development Coach Shaniece will be our guest. 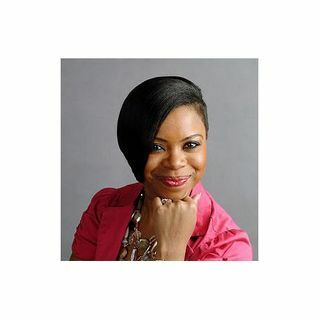 Shaniece is a Personal Development Coach who helps others identify, activate, and maximize their gifts and strengths. She gives strategies for developing personally, in business, and in ministry. As a coach, she considers herself an “Activation Specialists,” in which she teaches strategies that assist people in discovering and activating their interest, developing a career around their interest, and turning that into income. She brings ... Maggiori informazioni these strategies to life through thirteen years of success in direct selling, coaching, and mentoring. Her successful experiences have provided her with both the confidence and knowledge to teach audiences across the United States how to move from a place of survival, to a place of thriving by turning thoughts into actions. Shaniece graduated from The Ohio State University in the Max Fisher College of Business in 2004, which is ranked as the 21st in the top business schools in the nation. Shaniece’s degree is in Business Administration, specializing in Marketing and Transportation and Logistics. Shaniece worked in Corporate America in Pharmaceutical Sales for two years until she decided to step out on faith and become a fulltime entrepreneur, using her gift as a teacher and developer to coach people to success. In 2009, Shaniece was featured in a business marketing brochure that is used to advertise and showcase the success of women in business. For the past nine years she has organized workshops all over the United States for individuals to learn the skills needed to become a successful business owner. At these workshops, people receive training from top professionals on time, business, emotional, skill, and money management. In 2015, Shaniece received two national awards for the exceptional growth of her business. She works with customers and consultants from coast to coast.